Schools across Cumbria are being invited to join The Big Pedal 2017 – a national challenge to get more young people cycling to school. The Big Pedal 2017, which runs from Monday 20 to Friday 31 March, will see pupils, teachers and parents across the UK leave their cars at home and get on their bikes and scooters for their journeys to and from school. During the 10 days participating schools will compete with one another to make the most journeys by bike or scooter. The proportion of children walking and cycling to school has been declining since 1995, with the number being driven to primary school increasing each year – as many as one in four cars on the road during the morning peak are on the school run. Children in the UK now lag far behind their peers in other nations for active travel. Only about 2-3% of UK children cycle to school compared to 49% of all Dutch primary school children. 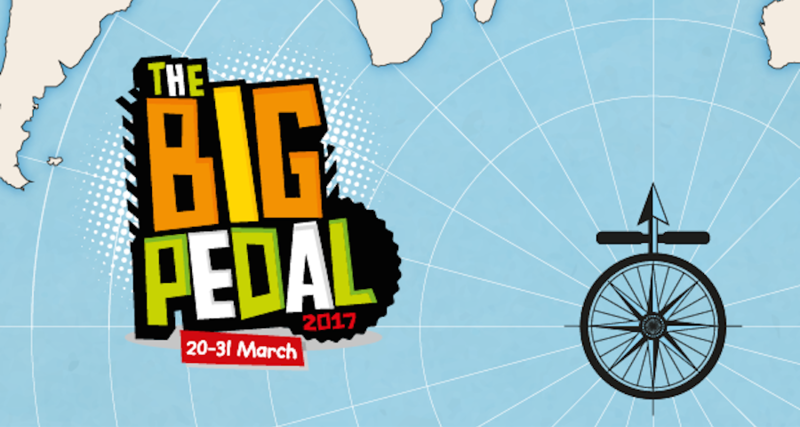 The Big Pedal 2017 is open to individual classes as well as whole schools, with hundreds of thousands of pupils expected to take part. For schools unable to take part in the main challenge there is also a one-day version, which can include cycling and scooting activities in the school day as well as on the journey to school. All schools will be entered into daily prize draws for rewards, including bike and BMX stunt shows, and equipment if more than 15% of a school cycle or scoot on each day of the challenge.